Federal Government has concluded arrangements to scrap the National Examination Council. Plans have also been concluded to cancel the Unified Tertiary Matriculation Examination being conducted by the Joint Admission and Matriculation Board for applicants into the nation’s tertiary institutions. JAMB will however not be scrapped. The government’s decisions, which would be made public soon via a White Paper, are based on the recommendations of the Stephen Oronsaye-led Presidential Committee on the Rationalisation and Restructuring of Federal Government Parastatals, Commissions and Agencies. A government source told our correspondent that the decisions were part of the recommendations made by a White Paper Committee set up by the government on the Oronsaye report. 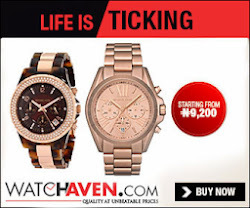 The source added that upon receipt of the latest report, President Goodluck Jonathan has been meeting with Vice-President Namadi Sambo and a few top government officials to take final decisions on it. Under the new arrangement, the source said in place of UTME, authorities of all tertiary institutions would now be at liberty to conduct their entrance examinations as they had been doing for post-UTME. JAMB will however serve as a clearing house. “JAMB will now be a clearing house like Universities and Colleges Admissions Service in the UK. If somebody gains admission into three universities and holds down space, immediately such person picks his first choice, JAMB’s system will automatically free the remaining two slots for other applicants. “JAMB will no longer conduct examinations but it will be setting the standard alongside the schools authorities,” the source said. UCAS, which was established in 1993, is the British admission service for students applying to university and college, including post-16 education as of 2012. UCAS is primarily funded by students who pay a fee when they apply and a capitation fee from universities for each student they accept. 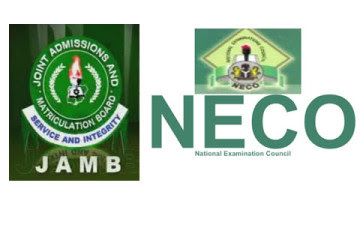 On NECO, the source said in arriving at the decision to scrap the examination body, the committee took into cognizance its huge facilities across the country. WAEC will also be empowered to conduct two Senior Secondary School Certificate Examinations per year, one in January and the other probably in December. The government source also said arrangements had been concluded to scrap the Public Complaint Commission, the National Poverty Eradication Programme and the Institute of Peace and Conflict Resolution among others. So, this means, no more NECO. Kids just write SSCE, identify the University they want to go to, they don't write JAMB but will just go to the university to write the university entrance exam. The entrance exam will be monitored by JAMB. So what happens to people who fail SSCE and want to use NECO to make up?